This is what Delta's bag drop will look like with facial recognition scanning ability. Airlines, hotels and cruise ships are increasingly personalizing your vacation by collecting personal data and tech experts like Dave Hatter are tempted but leery. 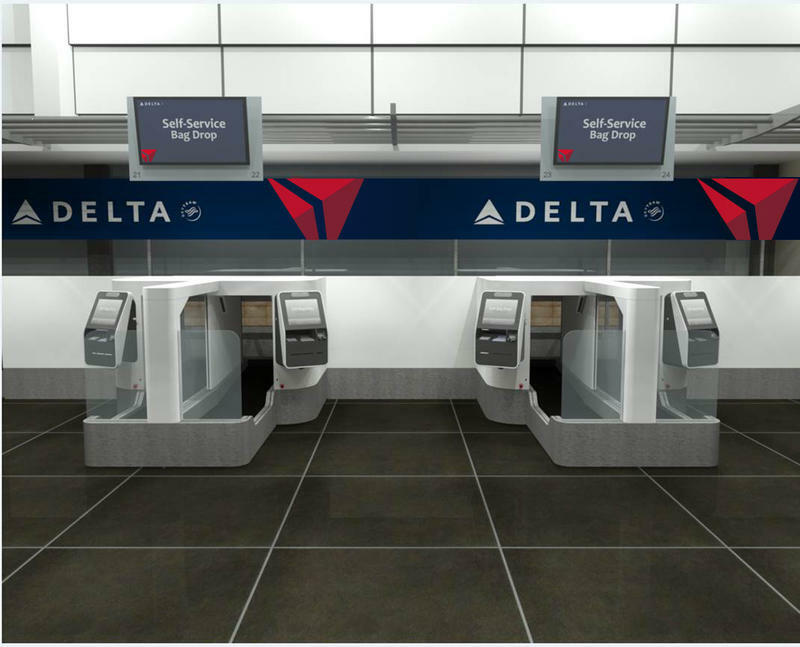 This summer Delta is testing facial recognition technology in Minneapolis with special kiosks to speed up the time it takes to check your bags. The airline will scan passports while specially equipped kiosks will scan your face. Delta says it's collecting customer feedback to help determine if this technology will expand to other airports. KLM is testing facial recognition for boarding in Amsterdam. Jetblue is using it on flights from Boston to Aruba and is testing it to replace boarding passes. Hatter says, "I mean who doesn't hate going to the airport standing in line, especially when you're watching the hands tick down on your watch...so I can see the upside. The downside in my mind is you're going to give them some very intimate biometric information about yourself in order to make this work and how serious is that going to be?" Cruise ships are getting in on the act by offering medallions so the crew can know your name, what you want to eat and when you would like to disembark. Again Hatter asks is the convenience worth handing over of personal information? He says he's not doing it because there is no guarantee the information will stay with the company and be used for what it was originally intended.